Mobile devices are essential for our daily life, but for most of us, the internal memory storage on these devices is inadequate. Unfortunately, this problem is only getting worse, as activities like photo taking, video recording, and downloading, demand increasingly more memory. As a result, many users expand available memory on their mobile devices by inserting SD cards. According to Strategy Analytics, 75% of smart phones include a microSD slot, which points to the fact that SD cards are now an essential feature for many mobile devices. The SD industry trade group, SD Association (SDA), continuously improves SD card specifications and protocols in order to satisfy the ever increasing demand for memory. The original SD cards were a mainstream hit, but these cards had limited storage capacity and slow data transfer speeds. 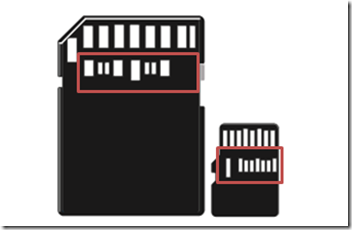 More recent SD cards provide much greater storage capacity and faster speeds. 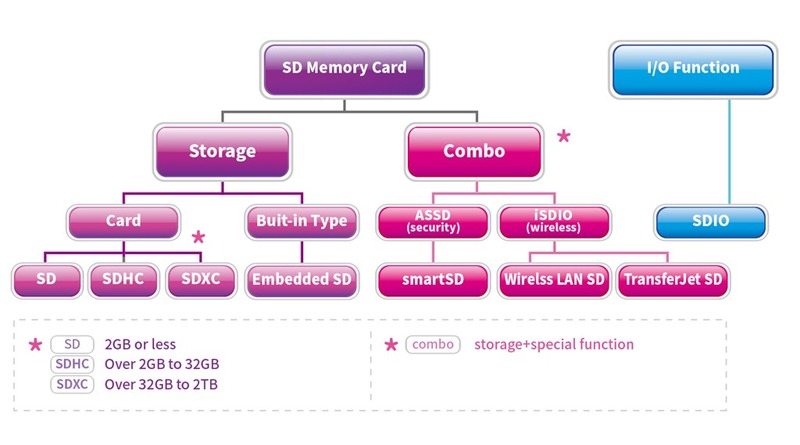 As shown in the figure below, SDA classifies SD cards according to Storage Capacity, Form Factor, and Input/Output (I/O) Functions. For instance, rather than simply expanding memory storage, SDIO cards extend host device capabilities with a range of features, such as Internet Service, GPS, Camera, Wi-Fi, FM Radio, Ethernet, Barcode Scanner, and Bluetooth. 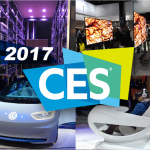 SDA recently demonstrated SD UHS-II, based on the latest SD specification, at the Shanghai Mobile World Congress. As shown in the table below, UHS-II supports bus speeds of up to 312MB/s, which is three times faster than the previous benchmark set by UHS-I. To enable these faster bus speeds, a new pin layout was introduced for UHS-II cards, as shown in the figure below. A second row of pins was added to increase bus speeds, as indicated by the red boxes in this figure. The first row of pins transmit UHS-I bus signals, which allows for backwards-compatibility with host devices not designed to support UHS-II. Modern cameras can capture images with resolutions up to 36 million pixels, which is much more than photos from a decade ago. UHS-II enabled devices can transfer gigabytes of data in seconds to support demanding applications such as high-resolution digital photography or cinema-quality 4K video capture. Due to this speed, UHS-II also offers the best possible performance for mobile gaming, entertainment, and productivity applications. 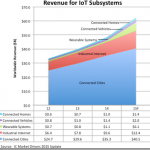 IoT promises explosive growth and amazing business opportunities. At the Mobile World Congress, SDA displayed the Wireless LAN SD card. 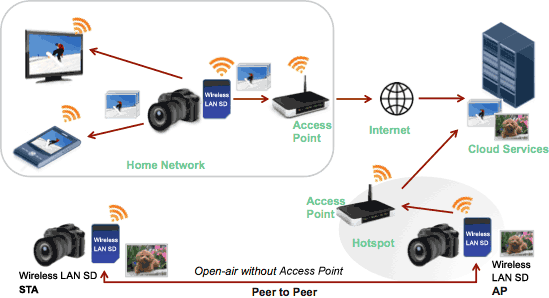 As shown in the figure below, this SD card allows consumers to wirelessly transfer pictures, videos, and other content over their Wi-Fi network directly from a digital camera or video camera. 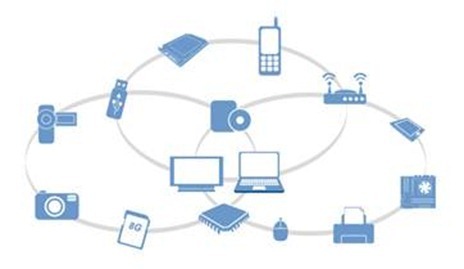 By taking advantages of innovations such as the Wireless LAN SD card, device manufacturers can simplify product designs and lower device costs. 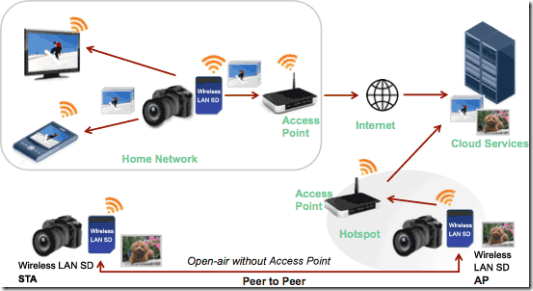 Communication between devices is very important for IoT environments. If data goes missing due to a few minutes of downtime, this can result in the potential loss of vital information. SD cards represent a reliable and power-efficient storage solution that can protect IoT data streams. Combined with the obvious advantages of UHS-II high-speed data-transfer, adding SD cards to IoT devices boosts their storage capacity for temporary data buffering or more persistent data backup functions. In the future, users may choose SD cards based on their applicability for specific IoT applications. To satisfy customers and protect their reputation, SD card vendors should test their products to meet the demands of the target environment. For example, in industrial environments, SD cards may be exposed to harsh conditions including extreme temperature, humidity, pressure, shock, vibration, radiation, and altitude. If SD cards are constantly exposed to these extreme conditions, data loss or device failure may result. In order to avoid catastrophic product failure, SD card manufacturers should arrange for environmental and reliability testing from a trusted test laboratory. In recent years, In-Vehicle Infotainment (IVI) systems and Event Data Recorders (EDR) have become more commonplace. High-capacity storage cards (SDHC and SDXC) are a perfect fit for these applications. Due to the demand for 3D navigation and smart car control systems, SD cards not only require massive storage space, but also fast data access. Consequently, UHS-II device compatibility is preferable, since it provides faster speeds for a more refined user experience. 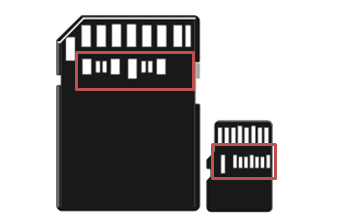 SD cards can be affected by shocks or vibrations in automotive environments. As smart cars grow in popularity around the world, they will become increasingly more common in different climatic regions, including extremely cold locations nearer to the poles and hotter places closer to the equator. Ambient temperature and power supply are two major factors that affect SD card storage stability. For example, if SD cards are exposed to extreme temperature, data losses make the smart car prone to various types of equipment failure. In order to cope with different situations, SD card manufacturers should partner with a respected third-party test laboratory that provides comprehensive environmental and durability testing. These tests can prepare your product to meet even the most extreme road conditions. 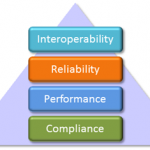 Allion is proud to be the one and only test lab that provides compliance testing for UHS-II, SDHC/SDXC, and legacy SD standards. SDA continues to update its technical specifications and certification procedures to keep up with all the latest trends. Upon special request, Allion investigates product compliance issues for the SDA Compliance Committee. Allion has even hosted SD interoperability events in the past on behalf of SDA. Through these activities, Allion has helped to improve the overall quality of SD products, gained the trust of the SDA Compliance Committee, and forged strong ties with SDA member companies around the world. or contact us directly: service@allion.com.